A new residential neighborhood is being created in the heart of a former manufacturing district in Chelsea. 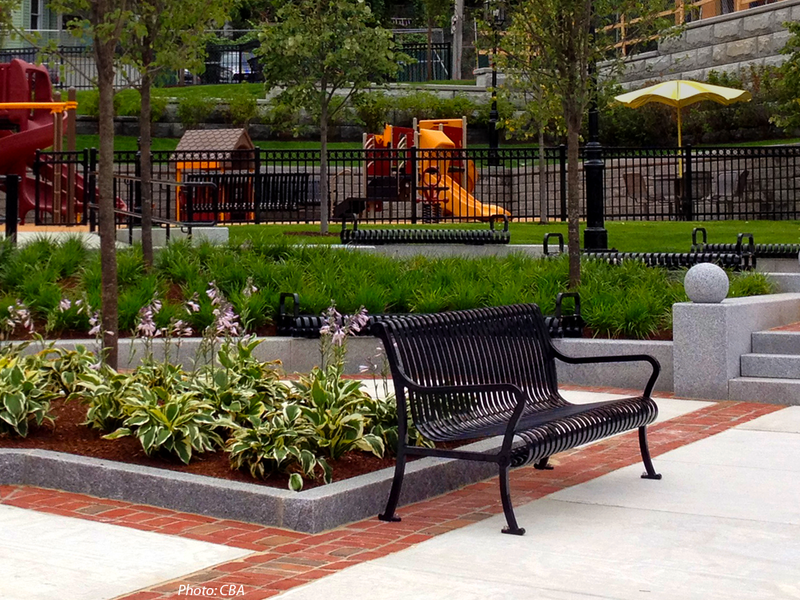 One of the key components of the City's plan is this brand-new park on a significant corner. 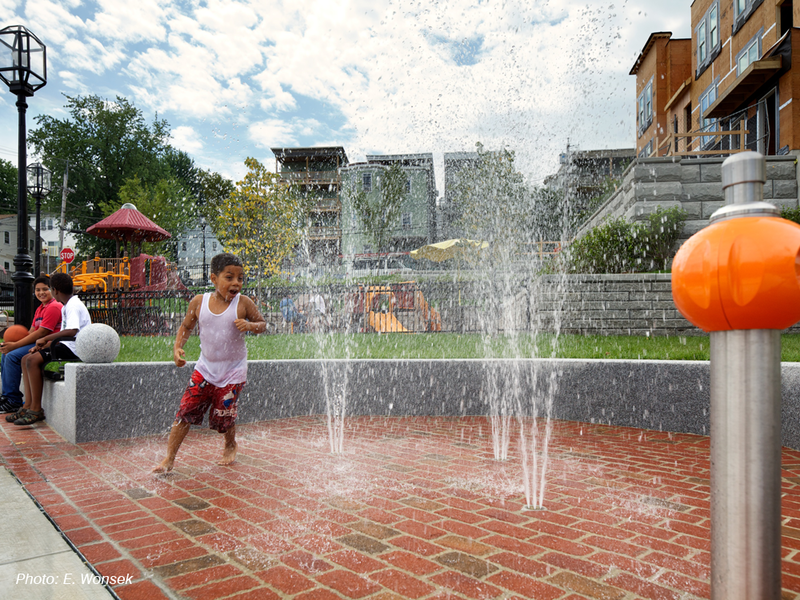 CBA's design combines a plaza area that draws visitors in, a water play area, stepped granite walls, a picnic area under a trellis, decorative brick and concrete paving, attractive fences, exciting new play equipment, plantings, and open lawns to create a green respite with details and colors that pay homage to the area's industrial past. 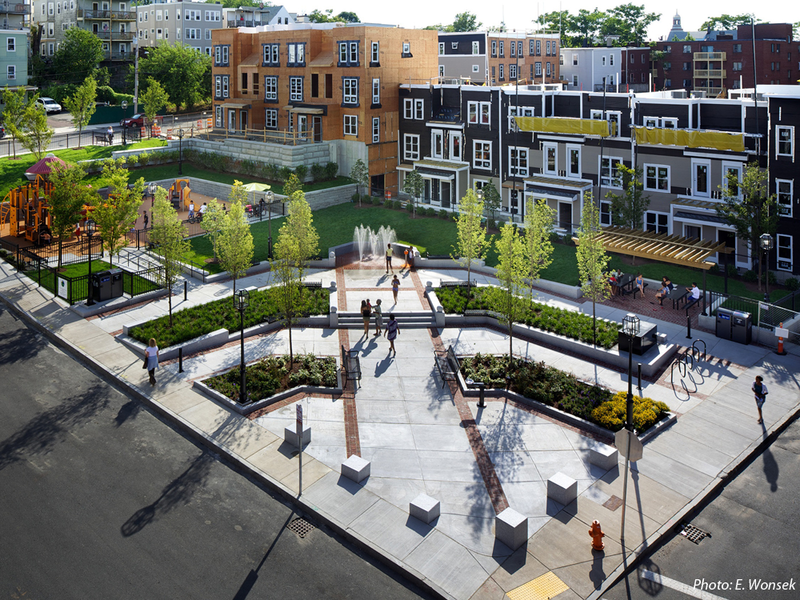 This park was featured in the March 2013 issue of Landscape Architect and Specifier News.